Is Krugman making fun of Cochrane's name? "We never committed the Say's Law fallacy" says Paul Roachman, a spokesroach for the United Brotherhood of American Cockroaches. "I was alerted to the fact that we were living in a Dark Age of macroeconomics when the same cockroach put in an appearance at the University of Chicago." "Paul Krugman is now reduced to making fun of my name. Oh how clever. I haven't heard that one since about, hmm, first grade, circa 1965." I think there has been a bit of misunderstanding here--Krugman is not making fun of anyone's name. Krugman has been using the "cockroach" trope for a number of years for now. The way he uses the term, the noun "cockroach" refers to an idea, not a person--he's not engaging in ad hominem attacks here. And the similarity between "Cochrane" and "cockroach" is coincidental. 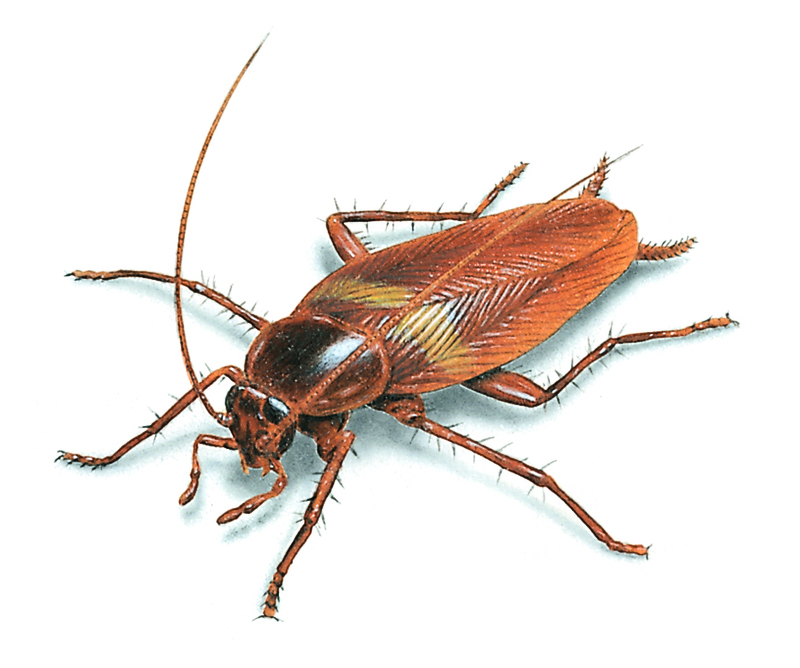 A cockroach idea, according to Krugman, is a claim that is absurd on its face--easy to smash with logic and evidence, yet constantly reappears in serious discussions on the economy. In this case the "cockroach" that put in an appearance at the University of Chicago was the idea that an additional dollar of government spending cannot increase GDP at all, ever, because it must necessarily reduce private-sector spending by a dollar. That mistaken argument is understandable but not forgivable. Cochrane and Fama argued early in the recession that if one person in the economy spends a dollar more, then someone else in the economy must necessarily spend a dollar less. That's absurd on it's face because that dollar of extra spending means someone's incomes rose by a dollar so that in the aggregate, the budget constraint is still satisfied. In fact the aggregate budget constraint is always self-satisfying at any level of aggregate spending. Cochrane and others could have avoided this fallacy by doing what economists do best: think about incentives. If the government increases spending by a dollar, what incentives do private citizens have to spend more or less in response? The key factor that affects the incentive to spend is the real interest rate. The real interest rate is the opportunity cost of spending, and thus is the relevant price that people use to decide how much to spend. It obeys the law of demand: a higher real interest rate means less spending now, while a lower real interest rate means more spending now. Recall that any level of aggregate spending automatically satisfies it's own budget constraint. Now suppose the government goes on a buying spree. If the Fed chooses not to raise the nominal interest rate, then there is absolutely no incentive for anyone anywhere to reduce spending on anything--each dollar of government spending simply pays for itself, and aggregate spending rises--this is called the multiplier effect (to the extent that firms raise prices, we'd see spending rise but not output; to the extent that firms fail to raise prices, output rises). Now suppose that firms decide they can't find enough workers to produce the additional output, so rather than increasing output they instead raise prices--this is called inflation. According to the Taylor Principle, the Federal Reserve will raise the nominal interest rate more than one-for-one with inflation, meaning that the real interest rate rises. This incentivizes citizens to reduce spending, possibly so much that output falls, and is known as crowding out. So what we just saw is that there are two effects: a multiplier effect whereby the failure of the Fed to raise interest rates in response to an increase in government spending allowed total spending to rise, as well as a crowding-out effect whereby the Fed curbs spending by raising interest rates. The critical factor determining which effect dominates is the nominal interest rate, which is usually controlled by the Fed. Of course, currently we are in a liquidity trap with low and stable inflation and output well below potential, so the Fed has no reason at all to favor raising interest rates rather than letting output rise, so they won't raise interest rates and additional government spending will, for the time being, cause total spending and output to rise. This is all basic principles of macro stuff that--if Cochrane is worth his salary at all--he is teaching to his students. That's why Krugman and I get so alarmed to see leading economists getting this wrong. I want to repeat this principle one more time, so that everyone gets it: any level of aggregate spending can always pay for itself! As an footnote, I do think that Krugman should stick to his Zombie trope instead of calling some ideas "cockroaches." I realize that Krugman sees them as similar but different, but the reality is that the former says what he wants to say--that these ideas have been killed many times before and keep coming back--while the latter sounds like a racial insult that an African dictator might make against his enemies. I'm not at all surprised Cochrane is offended, even if I think he fundamentally misinterpreted the nature of Krugman's rant.